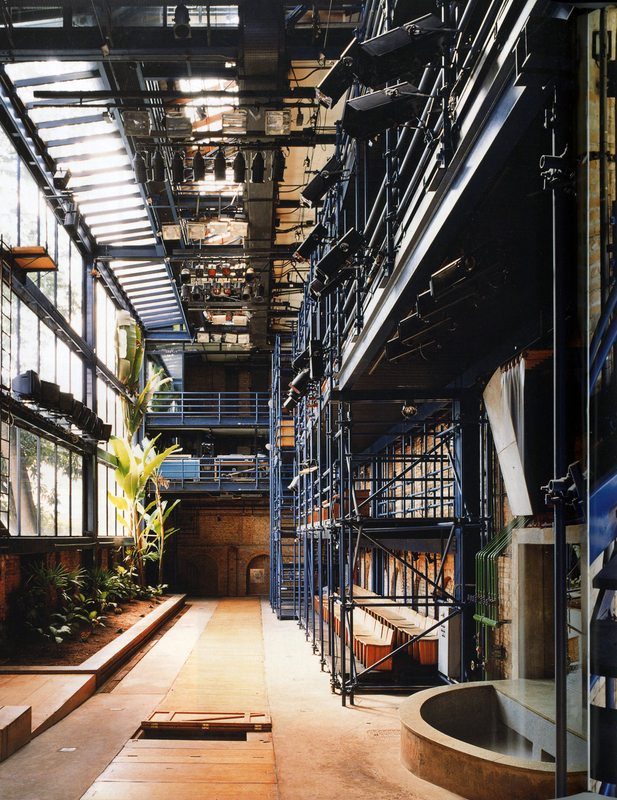 The Oficina Theatro was designed by Brazilian Architect Lina Bo Bardi was built in São Paulo in 1984. 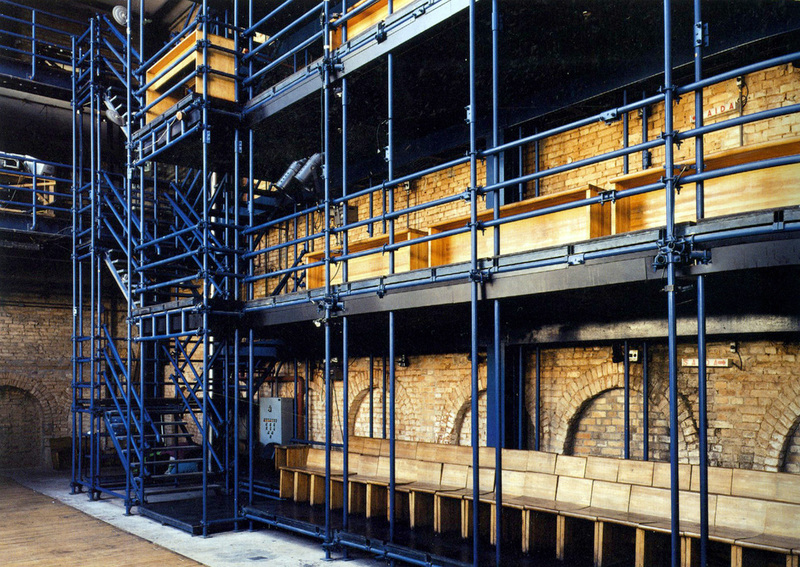 The renovation of the historic and previously burned office building to a theater was designed almost entirely out of painted scaffolding, referencing the construction of the sets housed in the venue. 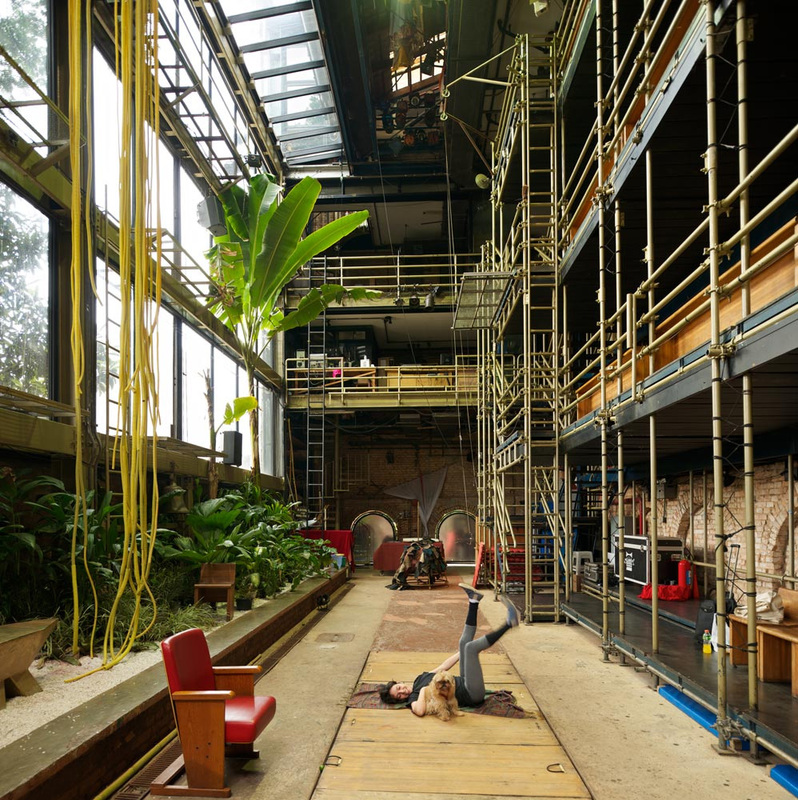 Teatro Oficina has challenging sight lines, hard seats and is very much not the shape theatres are meant to be, but is all the more intense for that. 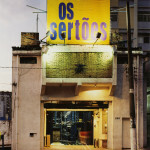 Teatro Oficina was a restoration project run by the Oficina Teatre Company in Bexiga, Sao Paulo. Formerly, this was a working class neighbourhood with an enormous Italian population. 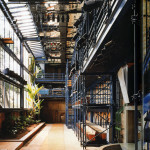 Within the 1980s it became one of the most diverse and cultural areas of the city. 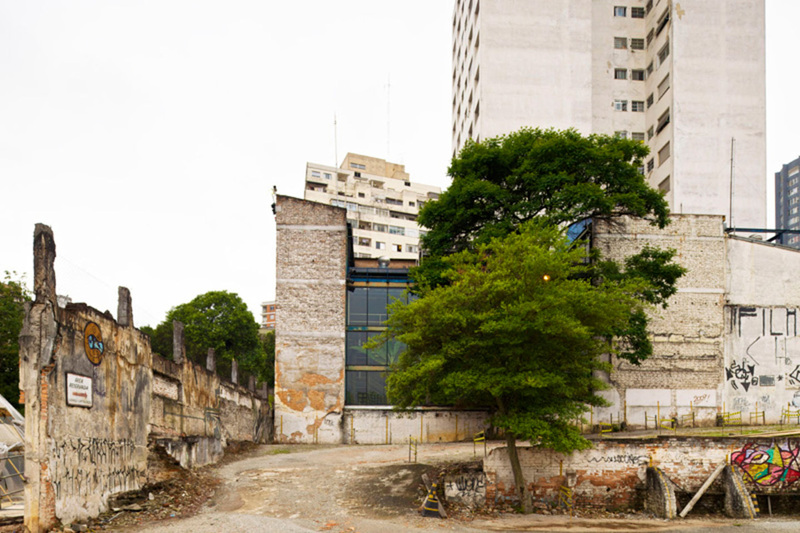 The theatre burned in 1966, and the rest of the brick shell was used as a peoples theatre. 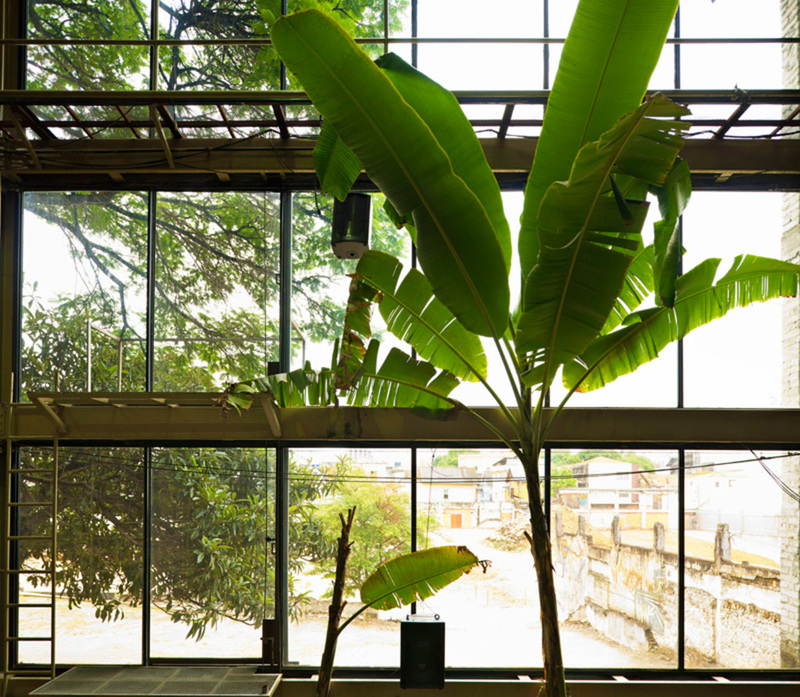 The building is 9 meters large and 50 meters long. 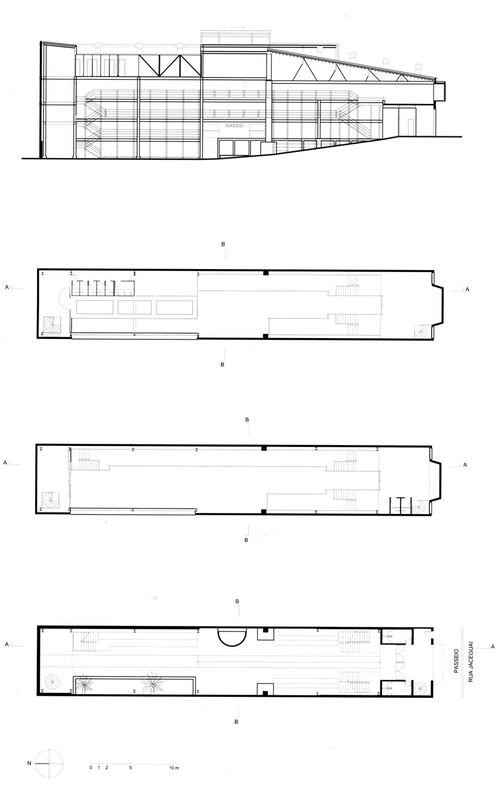 The idea was to create a long, narrow, street-like space in the burned-out shell of a former theatre. 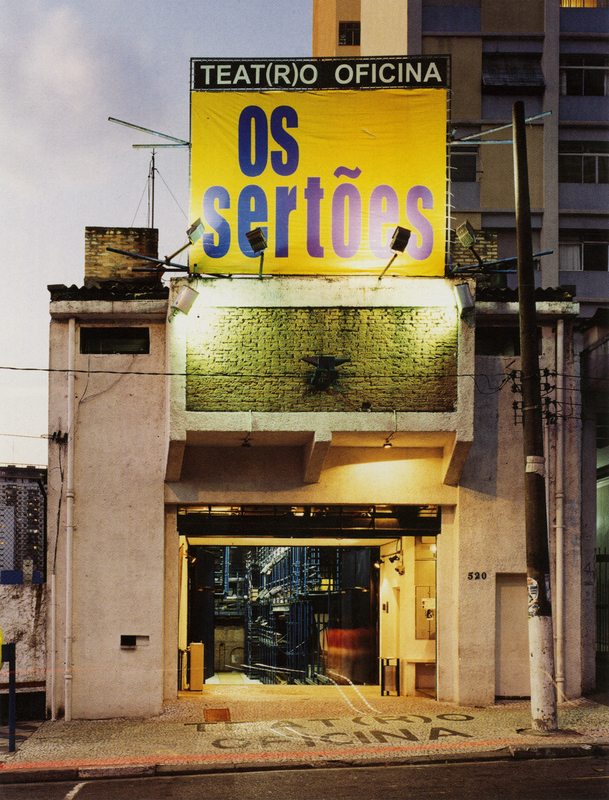 Built to serve the orgiastic performances of the theatre’s creator Zé Celso, he has claimed that the idea for the open plan came when, on an acid trip, running from the police, he found himself trapped against a solid wall. 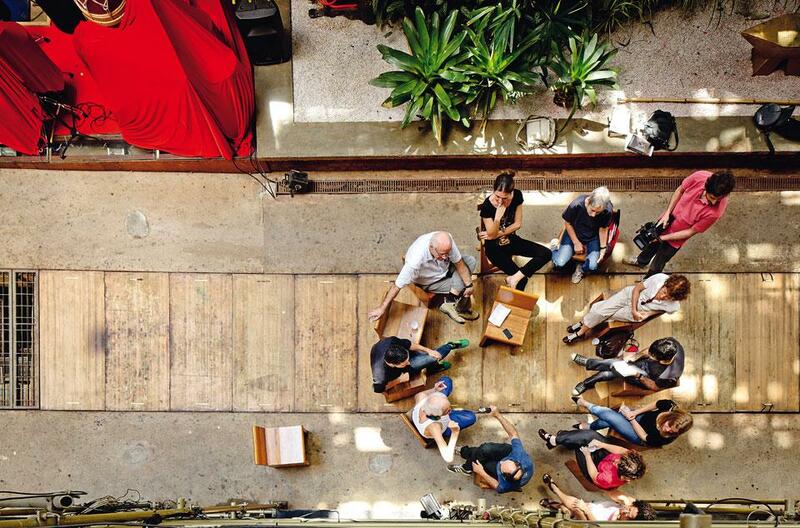 As a general public street, it has barely no space for spectators, it is limited to actors. 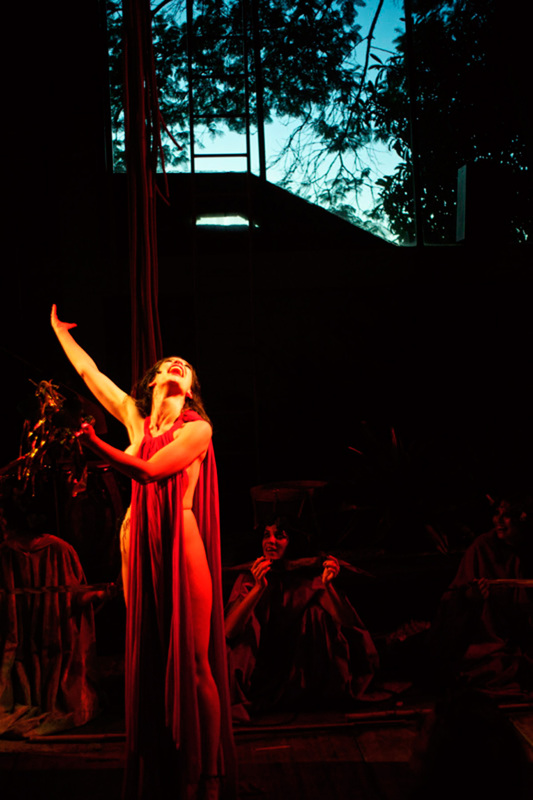 The general public, the technicians and all the items are on stage with the actors. 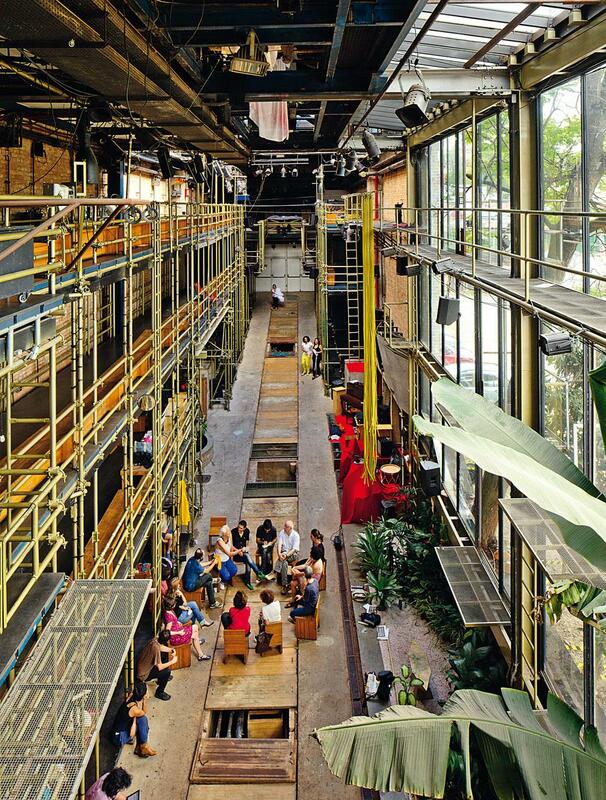 The theatre is no longer a “dream box” but a genuine life-style. 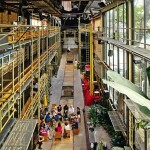 Cite this article: "Teatro Oficina / Lina Bo Bardi," in ArchEyes, March 27, 2016, http://archeyes.com/teatro-oficina/.